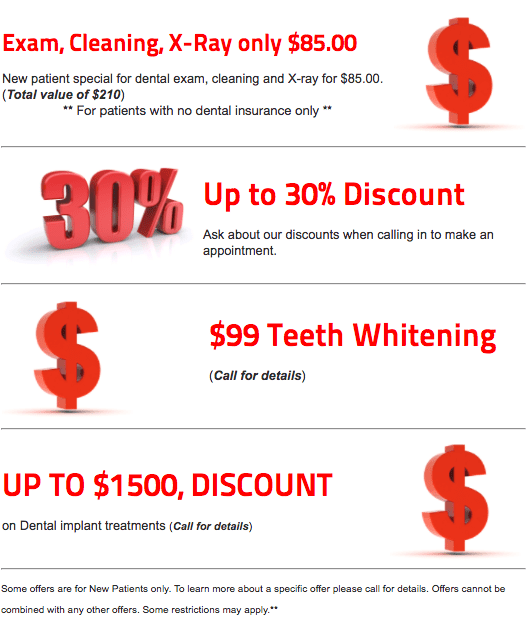 *Please note, some offers are for new patients only (i.e Free Consultation). 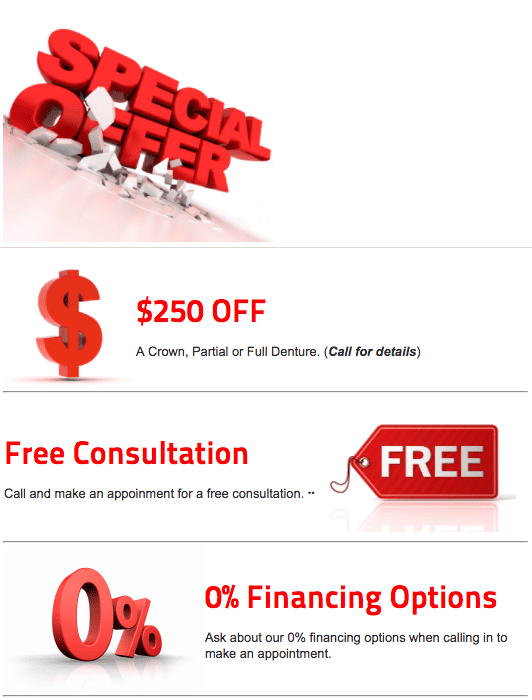 To learn more about specific offers, please call for details. Offers cannot be combined with any other offers. Some restrictions may apply.